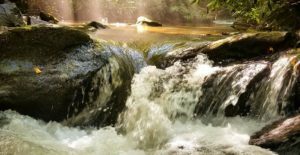 No fly fishing trip to Blue Ridge or Fannin County would be complete without a trip to Fightingtown Creek. 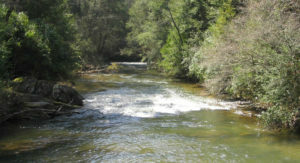 Starting high in the Cohutta Mountains in Gilmer County, Fightingtown Creek flows northward through Fannin County before joining the Ocoee River between Copperhill and Ducktown Tennessee. 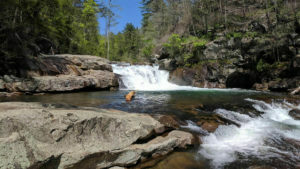 Fightingtown is a gorgeous mountain tributary that supports a generous population of wild, stream bred rainbow trout and gives anglers a clear indication of why Fannin County is widely known as the Trout Capital of Georgia. 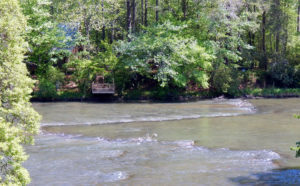 Fightingtown Creek offers anglers a remote fishing experience as it meanders its way through the Chattahoochee National Forest. With limited public access, the best way to find the most productive locations on this beautiful creek is with an experienced guide.